​Authentic adventure comes from the desire to shine a light into the unknown. It comes from searching out unfamiliar places and rising to unexpected challenges – from route-finding on minimally marked trails to finally climbing high enough to enjoy the vast alpine scenery visible from every ridge top. 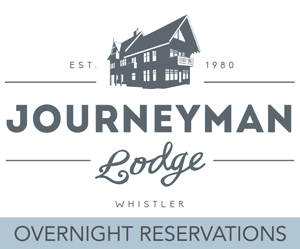 Journeyman Lodge was hand-built in 1980 by members of Whistler’s original backcountry ski community. Over 30 years later it continues to offer guests an escape into true wilderness and a chance to uncover personal insights and answers they may not have even known they were looking for. Backcountry Paradise [Journeyman Lodge] from Beacon Media Group on Vimeo.